“Silent Night” is a Christmas carol. Like a real Christmas carol, it is not about Santa Claus and shiny things. It is about peace and quiet. It sounds peaceful and quiet and it feels peaceful and quiet to sing. It is a very comforting song. Everybody knows this song. 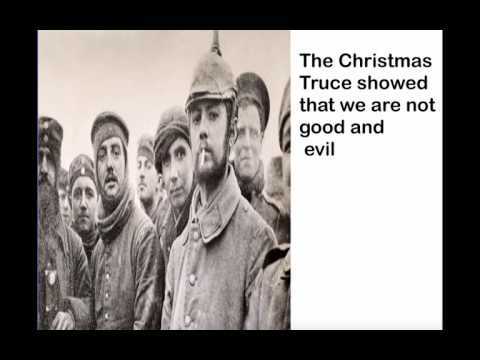 The video has the song and the story of The Christmas truce of 1914. Everybody knows the song and at that particular moment it helped us to see how much we are all in this together.